People’s History Museum welcome legacy giving for individuals who wish to support the museum by leaving a gift in their will. Radical Legacy giving will support the museum to celebrate the stories of radical thinkers and enable the museum’s continued growth. Radical Legacy gifts of any size are vital to the work of the museum. Everyone who supports People’s History Museum is at a different stage of their life and able to give at a different level. Whatever your specific situation may be, we can help you find a legacy giving option that suits your circumstances and makes a real difference to the museums’ work championing ideas worth fighting for. A legacy gift can be a very practical addition to your financial or estate plan and a professional advisor can show you how giving may also benefit your family after you are gone. If you let us know about a gift you’ve left in your will as a Radical Legacy, we would like to say thank you for the wonderful gesture. 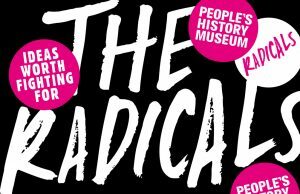 If you are interested in supporting the museum to celebrate the stories of radical thinkers and enable the museum’s growth, you can also Join the Radicals today by becoming a Radical Supporter, Radical Friend, Radical Sponsor or Radical Hero.